As a pioneer in the fume purification industry, Gojek has continuously improved its products and services for 10 years , so what we can provide customers with more professional, faster and better fume purification solutions. 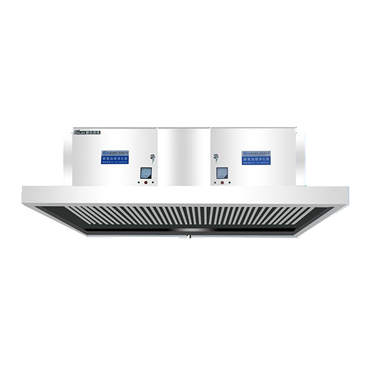 GOJEK-Cloud is a smart catering kitchen fume purification monitoring system built by Gojek Environmental Protection. It based on the principle of Internet of Things communication. Through the close combination of the fume detector and the Internet, it can be widely used throughout the country. So provided fume purifier users conduct real-time, detailed and accurate fume emission monitoring. For each restaurant, hotel, canteen, food chain store, shopping mall dining area, factory managers to provide a convenient and fast, anytime, anywhere to monitor the real-time situation of emissions such as fume, oil mist and other emissions management platform. The monitor device is installed with the fume purifier accordingly. When the device is turned on, it can automatically collect the fume exhaust emission data of the vent and send the synchronizing data to the “GOJEK-Cloud”. The synchronized data includes: the area where the fume purifier/fan is located, the working time, the online time, the state, the fume emission concentration, the purification rate, the over-standard rate, and the qualified/excessive unit. Environmental Protection can be consulted to seek a solution. Users can also ask historical data in the later period, view daily and monthly statistics, observe the emission of fume exhaust gas from a macro perspective, and determine the right time to maintenance and cleaning equipment. In addition, the technical department of Gojek Environmental Protection Headquarters will propose operating and maintenance suggestions for users based on the data of "Gojek-Cloud" to avoid the situation of excessive emission of fume emission. The R&D department regularly extracts data, upgrades and improves the product To the user's usage habits and usage, and carefully develops products with better user experience. Gojek Environmental Protection has been committed to the R&D and manufacturing of fume purifiers for 10 years, and has built the top domestic fume purification brand! Gojek environmental protection, Purify the world with the "core to"